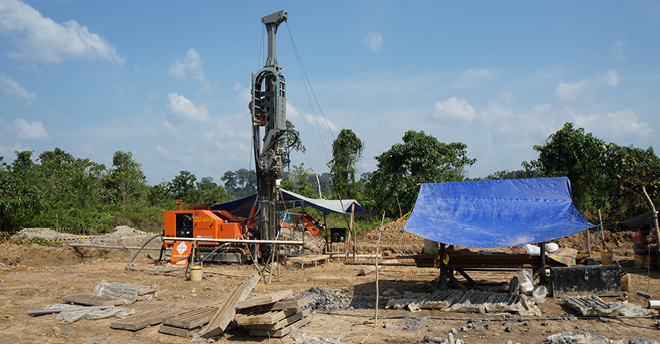 Tough, robust mineral exploration drilling rigs equipped with a range of features for safe and highly efficient drilling in remote areas of difficult terrain. 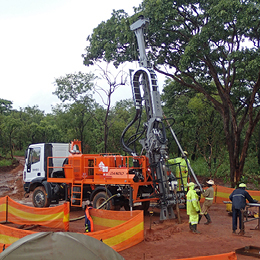 Dando’s mineral exploration rigs can be set up for conventional or wireline coring, Reverse Circulation, Rotary Air Blast, or open-hole boring and have proven themselves over and over in some of the most punishing conditions around the world. 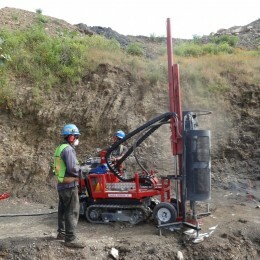 Perfect for rotary drilling in confined spaces of difficult access, this small, incredibly versatile drilling rig can be used for continuous flight & hollow stem augering, coring as well as drilling with tricones, drag bits and DTH hammers. 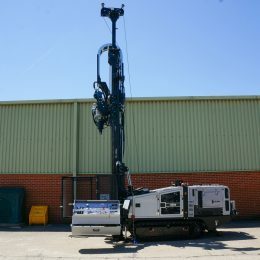 The compact and versatile Dando Terrier is now available fitted with a mast dump for angle drilling up to 45 degrees from vertical. 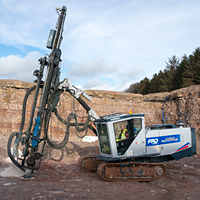 A truly multipurpose drilling rig incorporating a pullback capacity of 10,000kg within a lightweight and compact structure. 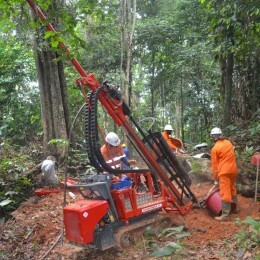 Perfect for water well, mineral exploration, geotechnical and GSHP drilling. 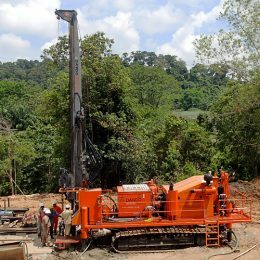 With a pullback capacity of 12,800 kgf, the Mintec 12.8 is an extremely powerful mid-range mineral exploration drilling rig for wireline coring, reverse circulation and rotary air blast drilling in harsh environments. 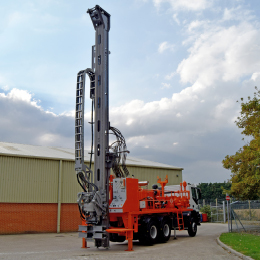 A large, powerful heavy-duty mineral exploration rig, the Mintec 18 is capable of wireline coring, reverse circulation and rotary air blast drilling in all geological formations to extreme depths. The rig boasts 18,000 kgf of pullback. Dando Drilling are UK representatives for Furukawa’s range of high quality hydraulic crawler drills and tooling.